Okay, so you’re still around? Terrific! 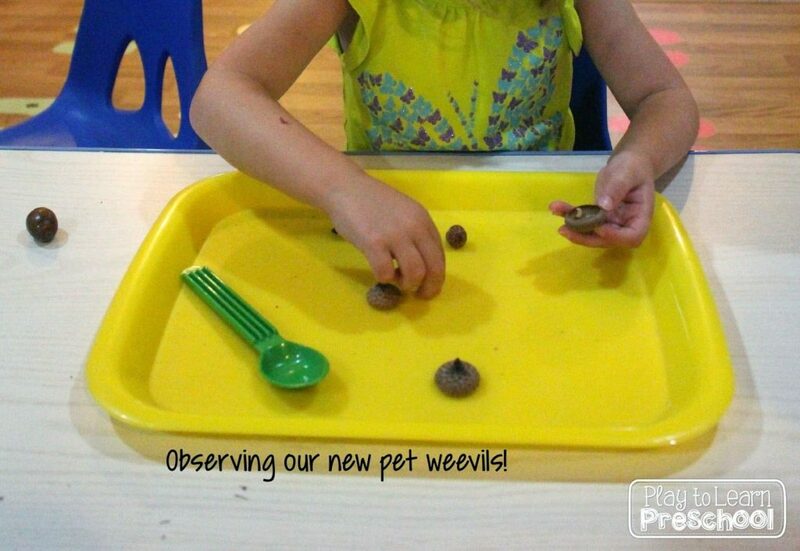 We had the most unexpected and fascinating lesson in preschool last week. 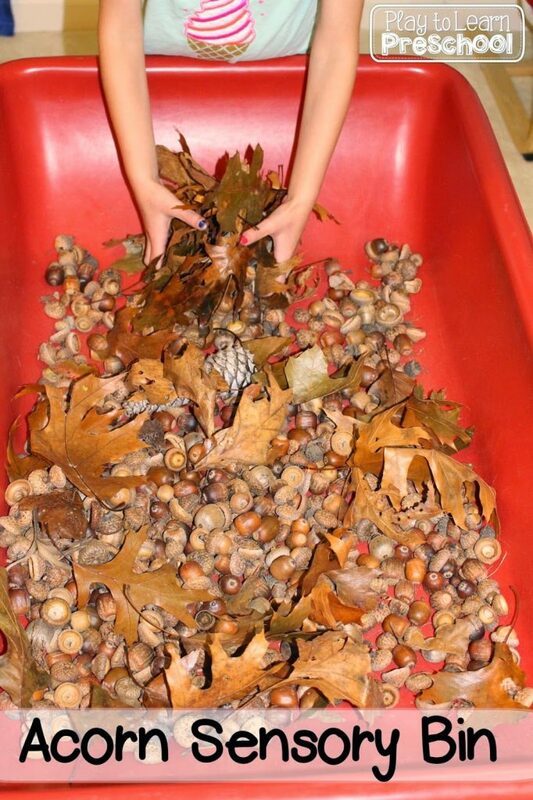 Our students brought in bags and buckets full of acorns in an attempt to fill our sensory table. The plan was to experience the acorns in the sensory bin, then sort them by size and color, observe which acorns had “hats” and learn about the life cycle of an oak tree. Hundreds and hundreds of acorn weevils! Of course, we had to do a little research to learn about these creepy crawlies. We found this information and picture. We decided it would be fine to observe the larvae for the week before letting our acorns back outside for the squirrels. The students loved the weevils! Seriously, the whole week was spent searching for weevils, making a habitat for the weevils, drawing pictures of weevils and playing hide and seek with them (see below). 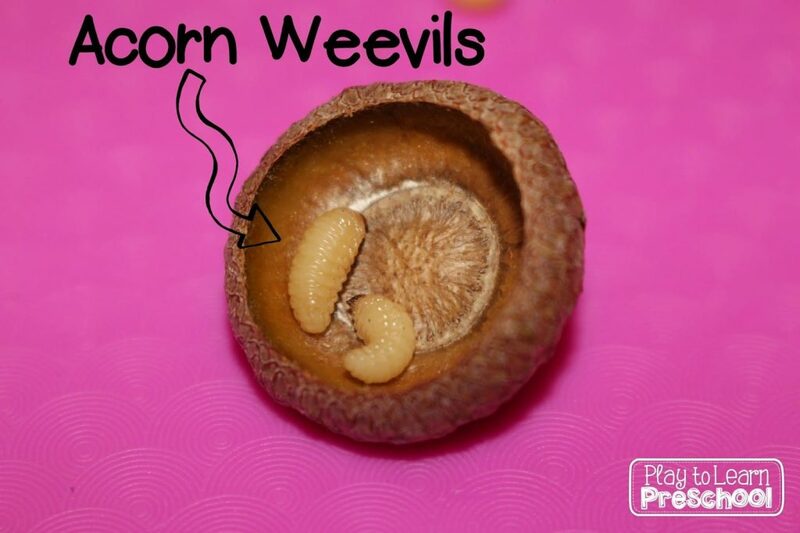 After our initial discovery on the first day, the students were surprised to find more weevils in the acorn sensory bin when they arrived the next morning. 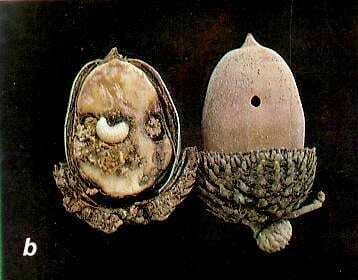 That led to the interesting discovery that the weevils are alive inside the acorn and drill holes to come out. Our next activity, of course, was to sort out all of the acorns with holes in them. That was fun, but I think next week we might try this beautiful sensory table from Teaching 2 and 3 Year Olds. Ha! 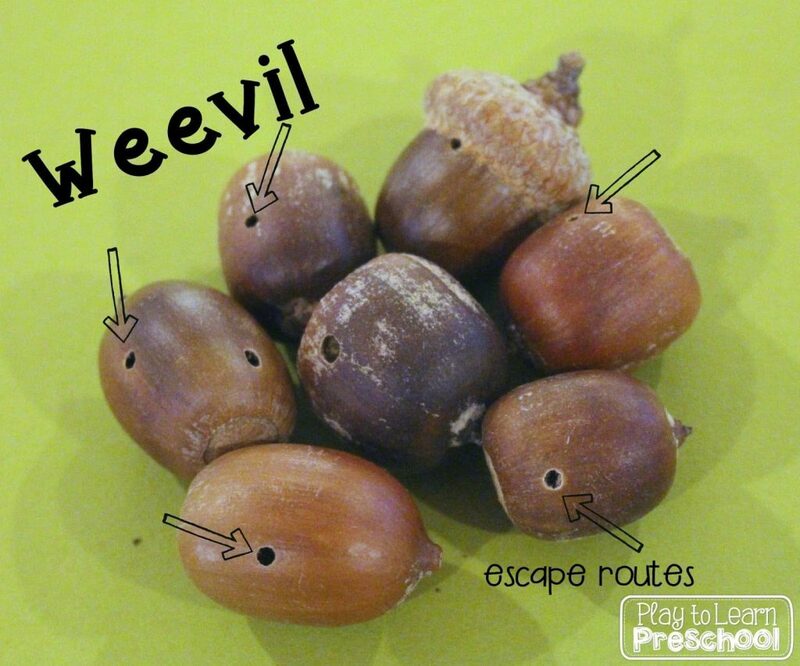 If you would like to observe acorns in your classroom or home, but prefer not to play hide and seek with the weevils, you might try this idea first.